Adrien Broner has some explaining to do after a bizarre incident on the Las Vegas strip Friday night, which resulted in him violently shoving a woman and allegedly knocking out a man cold. According to video obtained by TMZ, Broner appears to be smiling and taking pictures with fans. Then, for unknown reasons, the former four-division world champion became incensed. A female companion tried to conciliate him, but her efforts fell short, as she was shoved backward. However, the madness didn’t end there, as Broner uncorked a right hand to the head of what appeared to be a random stranger in a knockout game style attack. Video also shows security talking to Broner, but it seems they let him go. This is just the latest incident for Broner, who at this point could make a novel out of his police reports. He was arrested in April after authorities in Covington, Kentucky pulled him over in a rented SUV that was riddled with bullet holes. 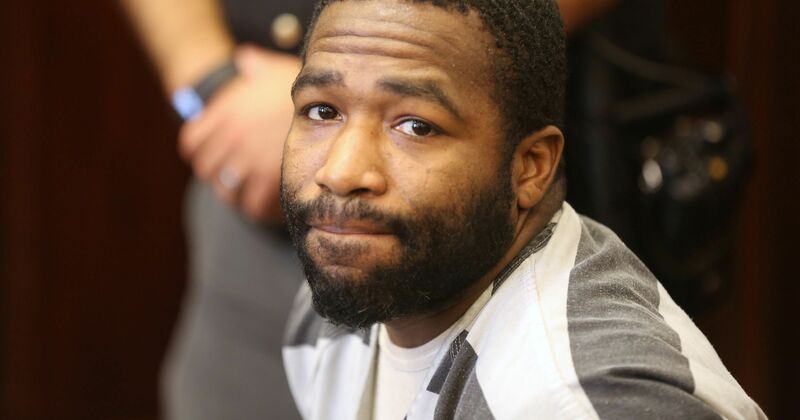 Investigators say someone shot up the car while Broner was still inside following an argument in Cincinnati. It has become a narrative each time Broner makes a mistake in which most boxing fans no longer believe. This time, once and for all, Broner is going to change. As Floyd Mayweather said throughout the buildup to the Conor McGregor fight “The fans can’t fight for you.” This holds true in this case as well. If Broner wants to change, the motivation is going to come from within his heart. He needs to stop being mendacious and step up to be a better role model for his children and young black youths across America. The ‘I am gonna change’ act is old and stale. Broner last fought in July, losing a 12-round unanimous decision to WBC lightweight champion Mikey Garcia in a non-title bout at 140 pounds at Barclays Center in New York.